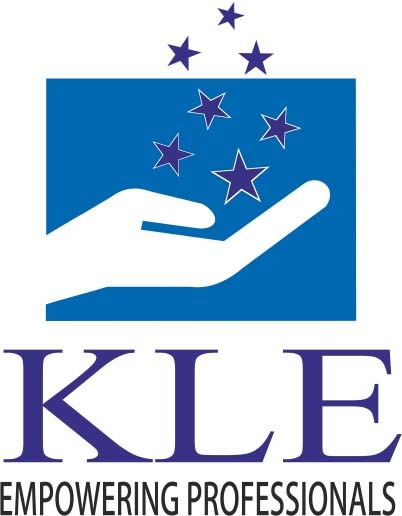 The Emblem of the KLE University is a Symbolic Statement of its Philosophy. A close look at the emblem unveils a pillar, a symbol of the ’Academy of Excellence’ built on strong values and principles. The Palm & the Seven Stars …. The Palm is the palm of the teacher – the hand that acts, promises and guides the students to reach for the Seven Stars….. The Seven Stars signify the “Saptarishis Gyanamandal” the Great Bear – a constellation made of seven stars in the sky, each signifying a particular Knowledge Domain. Our culture says – The True objective of human birth is to Master these Knowledge Domains. The Seven Stars also represent the Saptarishis, the founders of KLE Society whose selfless service and intense desire for “Gyana Dasoha” laid the foundation for creating the vast sphere of knowledge called KLE Society. Hence, another significance of the raised Palm is our tribute to these great Souls for making this university a possibility. ‘Empowering Professionals’, the inscription at the base of the Emblem conveys that our Organization with its Strength, Maturity and Wisdom will forever strive to empower the community of Students and Faculty to become globally competent professionals. It has been a guiding force for the many student generations in the past and will continue to inspire many forthcoming generations to come………….